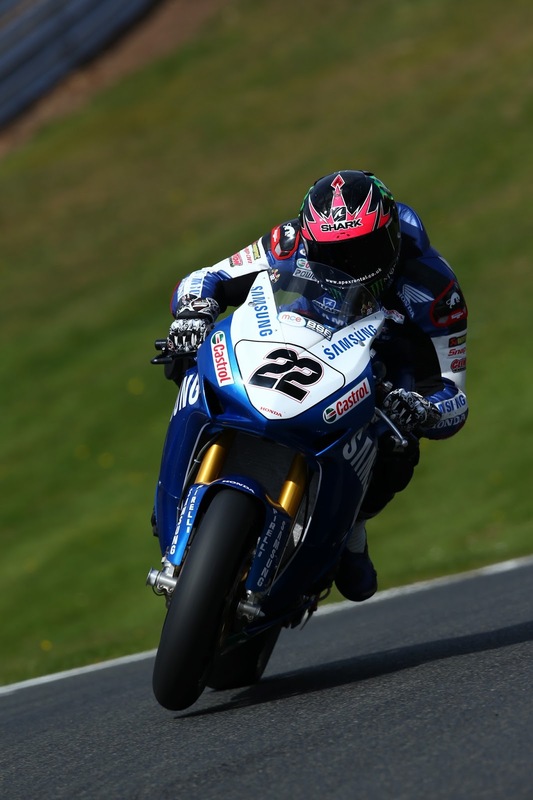 Alex Lowes has taken the first win at this weekend’s British Superbikes meet at Oulton Park ahead of Milwaukee Yamaha’s James Ellison and Tyco Suzuki’s Josh Brookes. Prior to the race start it was announced Quattro Plant Kawasaki rider Danny Buchan was withdrawing from both races after yesterdays qualifying crash. Following the loss of the hole shot to Byrne ahead of Brookes, Lowes quickly regained the lead and made quick work of keeping formation. Shane ‘Shakey’ Byrne stalked Lowes for the first 12 laps however a mistake at Brittens chicane saw him fail to finish, a fate that also met his teammate Keith Farmer at the Shells Oils hairpin on the first lap. Buildbase BMW’s Jon Kirkham and an injured Tommy Bridewell kept the crowd entertained as they battled for 4th and 5th position respectively whilst Peter Hickman took a lonely 6th. Further down the field American PJ Jacobsen fended off an attack from Chris Walker as he came across the line to finish eighth. It was a bad race for veteran Michael Rutter, who was celebrating his 400th race, as he pulled off with what looked like a technical issue quite early in proceedings. Rutter wasn’t the only one who had a bad day with Robbin Harms crashing with his bike destroyed by the barriers. A lot of the talk this weekend has focused on Samsung Honda, not only Alex Lowes and his storming lap record but the lack of points scored by three times world champion Ryuichi Kiyonari. Kiyonari who spent most of his race down in 17th found himself taking a solitary point as he made the finish in 14th a massive 3.2 seconds slower than Lowes fastest lap set on lap four. Lowes has stolen the championship lead with a ten point gap to Byrne whilst Brookes has 76 points ahead of James Ellison’s 71. Previous Previous post: BSB: Brookes: "Struggling to get the bike to do what I want"